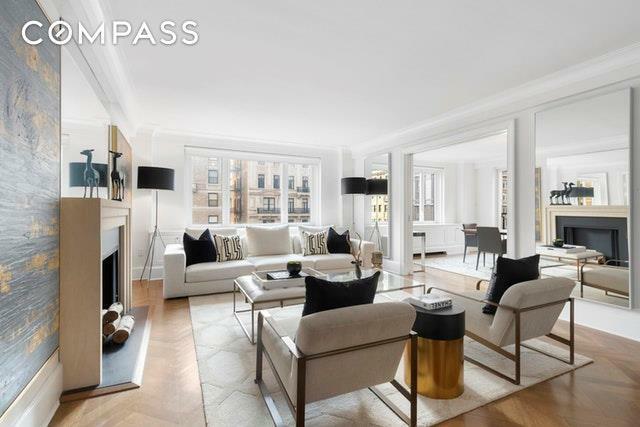 Triple Mint Designer Renovated 4 Bedroom 4.5 Bath Home at 530 Park Avenue; A Premier Condominium Residence Located on the Corner of East 61st Street. 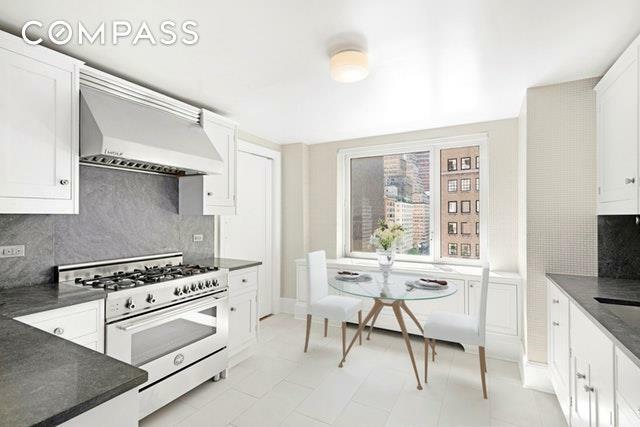 This high floor home is approximately 2,755 square feet of mint renovated perfection with excellent natural light from it's Eastern, Southern, & Western exposures. 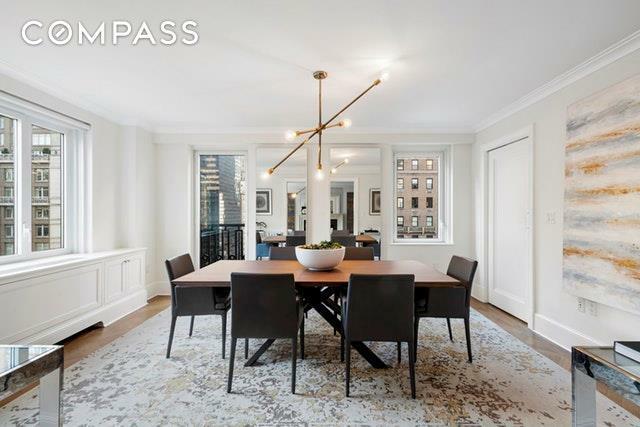 The living and dining room overlook Park Avenue & features a dramatic floor to ceiling window with southern views. The windowed eat-in-kitchen features handcrafted Smallbone cabinetry, Pietra Cardosa granite countertops, Italian porcelain floor, SubZero fridge & wine cooler, ovens by Wolf, 5 burner range by Bertazzoni & a Bosch D/W. The master suite includes a walk-in-closet & a five fixture bathroom complete with radiant heat floors, crema Marfil marble walls, marble floors & vanity tops. There is fantastic separation with double bedroom wings each with open southern exposure and en suite Thassos marble bathrooms. A separate powder room for guest is accessible from the long hallway perfect for displaying art. Other features include a laundry closet with side-by-side Bosch Washer & Dryer and plenty of storage, herringbone flooring, solid hardwood doors, double-pane energy efficient windows, & individually controlled heating / air conditioning units with custom cabinetry enclosures.530 Park Avenue offers a 24 hour doorman & concierge, private fitness center, children's playroom, sitting room/library with billiards table, pantry, bike storage, & garden with reflecting pool. The celebrated restaurant Sant Ambroeus, has teamed with 530 Park Avenue to offer five-star room service and full service catering to residents. 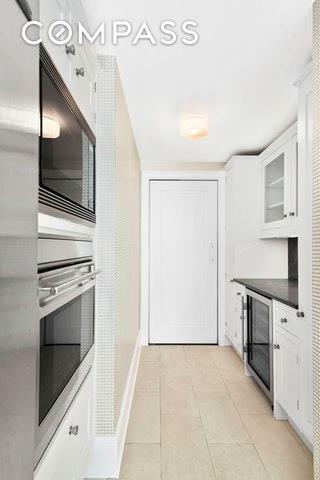 Listing courtesy of Geraldine Dayan of Compass.